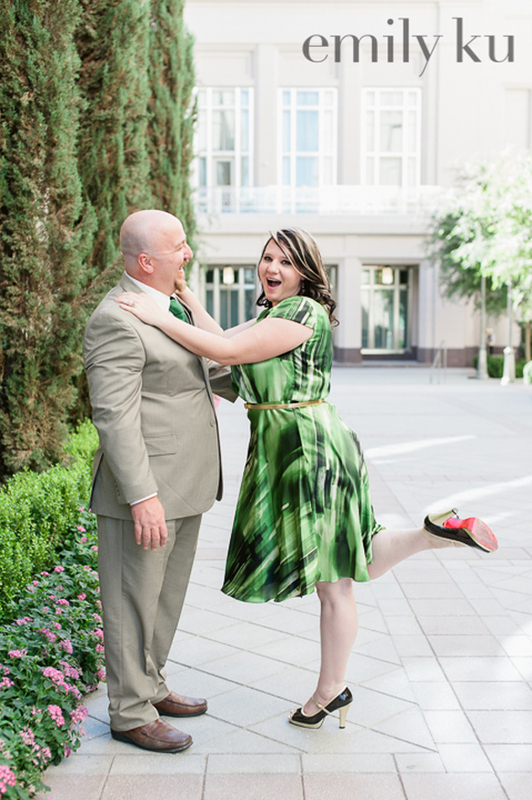 We are so excited to be packing our bags for Liz and Jean’s Beverly Hills Wedding on Saturday!! 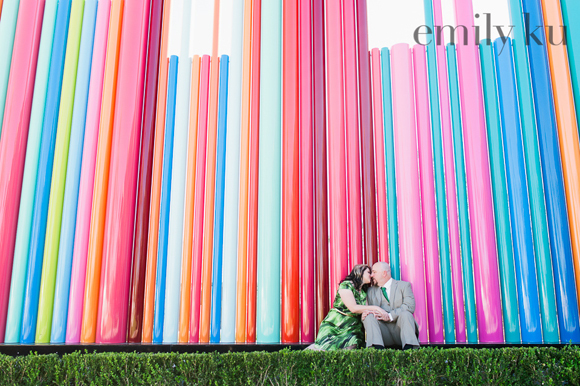 Scheme Events will be at Greystone Mansion working with some of our favorites from Las Vegas, like Chelsea Nicole Photography, Something New Video and Layers of Lovely. We are also looking forward to collaborating with amazing vendors from Beverly Hills like Wolfgang Puck Catering, Elm Concierge Rentals, Hey Mr. DJ and Sweet & Saucy. We can’t wait to share details with you. Follow us on Instagram! 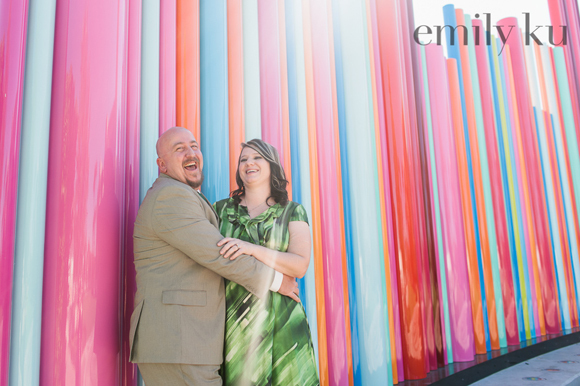 Every once in a while, we meet couples that are super special and Amanda and Edward are definitely that. 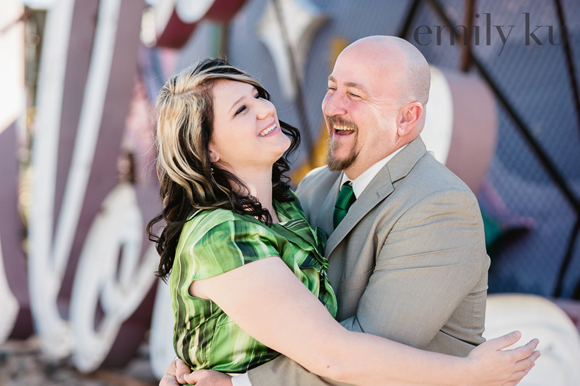 They met in such a unique way and have been together ever since. 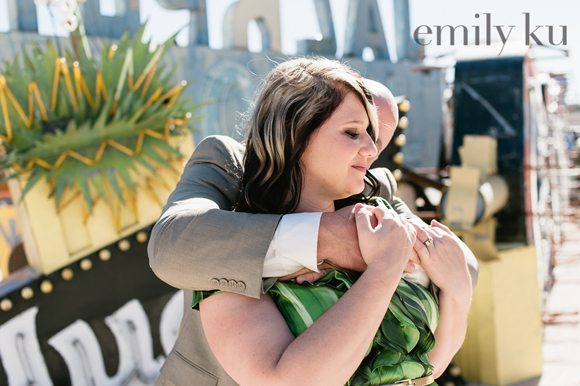 We just want you to experience their love with each other through these amazing images that Emily Ku captured during their Las Vegas engagement session. Amanda and Edward will be saying, “I Do.” on April 6th, 2013 at the beautiful Historic Fifth Street School courtyard with a cocktail reception to follow. Until we can share those amazing photos with you, these will have to suffice. 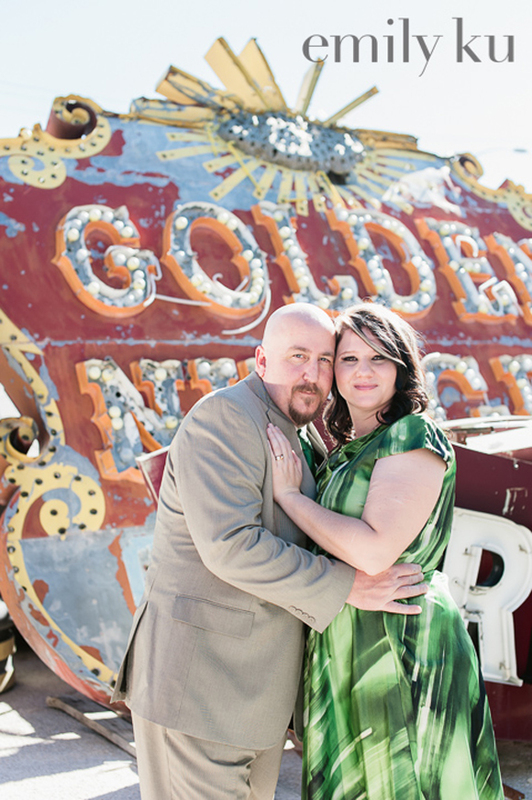 We absolutely love Las Vegas engagement sessions taken at the Neon Bone Yard! 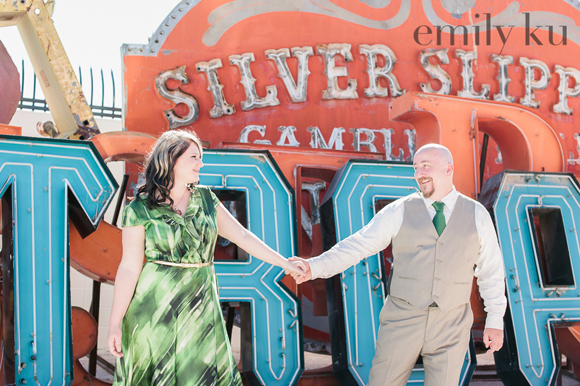 It shows the history of Las Vegas in the images and the colors throughout are just stunning when captured on camera. 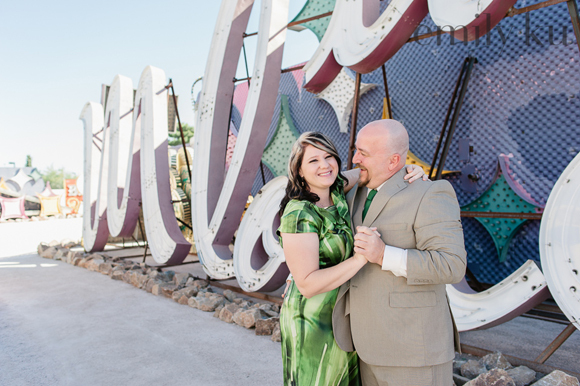 Oh how much we love this piece of art outside Las Vegas’ very own, Smith Center! The colors are just so bright and cheerful. 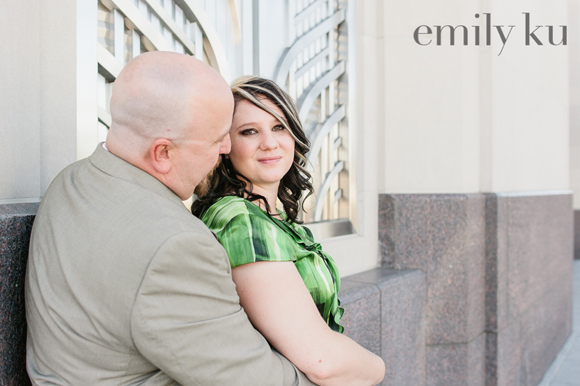 We are so excited to be a part of your wedding day, Amanda and Edward! 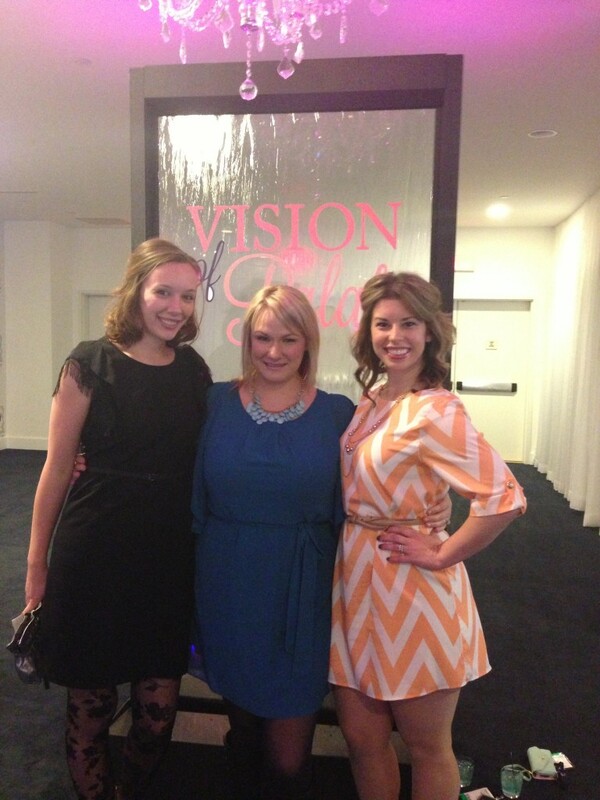 Last week, we had the opportunity to attend the Event Solutions Conference. 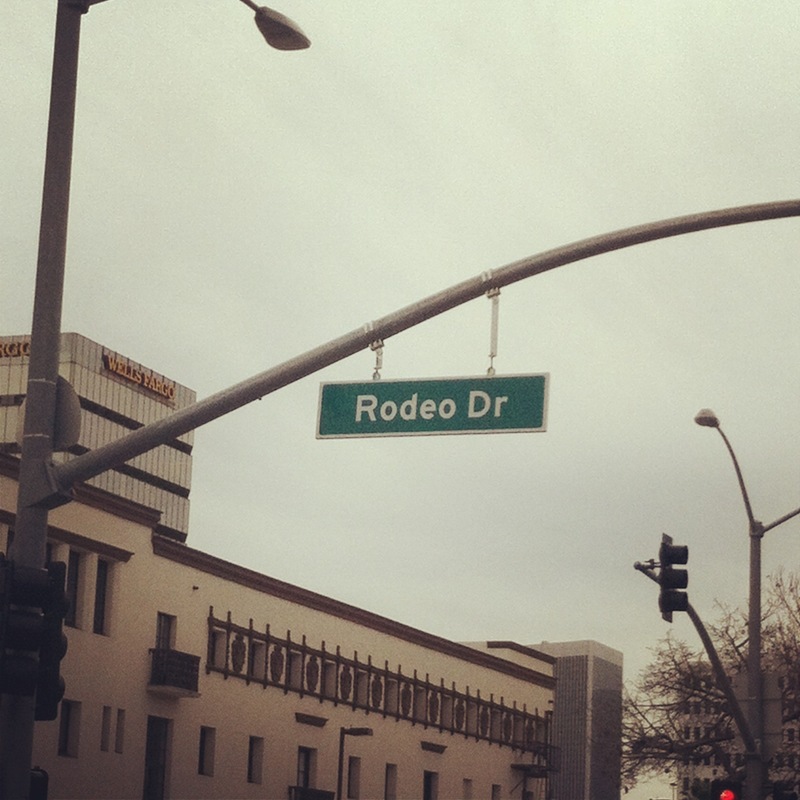 Lucky for us, the conference is held right here in Las Vegas. The conference brings together caterers, wedding planners, DJ’s, florists, designers and even celebrities! Take a look below at some of the highlights of the conference. 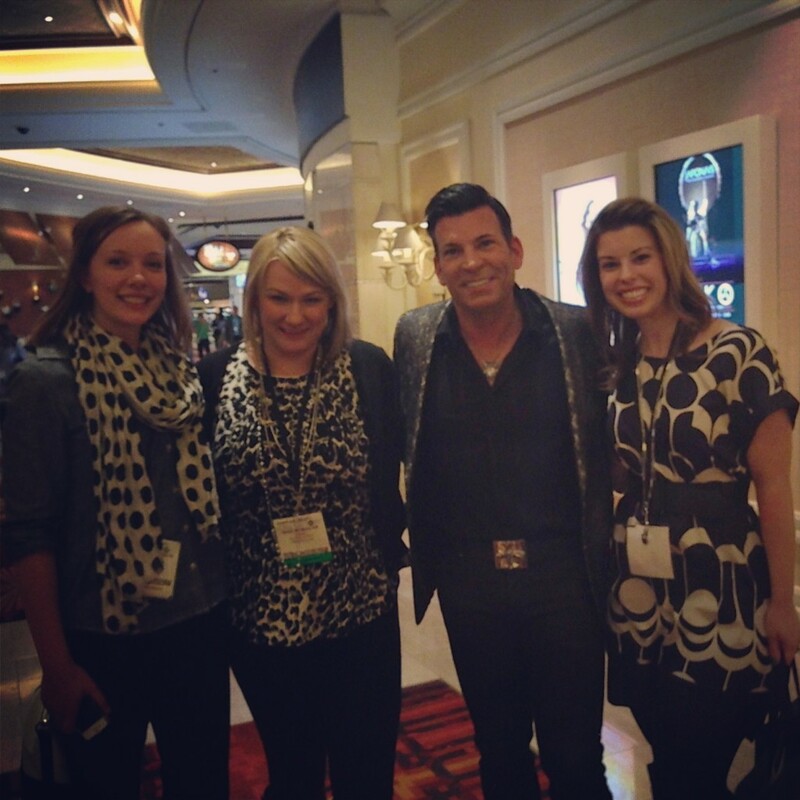 To kick off the 3 days of learning, we heard from David Tutera of WeTV‘s My Fair Wedding and Dina Manzo of Real Housewives of New Jersey and Dina’s Party. You know any Bravolebrity is involved and Rissa is in Housewives Heaven! For the opening night party, we headed to Bagatelle for an evening with Peter Callahan. Do you love everything mini? Have you noticed the huge miniature food trend seen in weddings and events? If so, you have catering genius Peter Callahan to thank. He’s pretty much associated with the best of the best (ahem…hello, Martha Stewart). 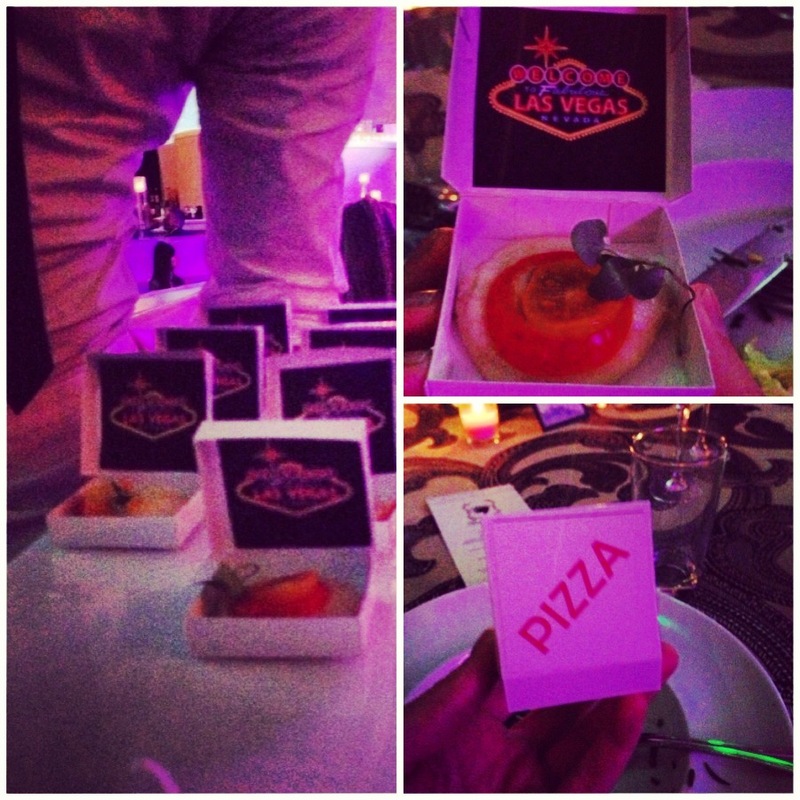 We were treated to his famous mini grilled cheese sandwiches and these amazing mini pizzas. Fully packaged in individual pizza boxes! So darling. We spent an afternoon at the trade show gathering fun design ideas and searching the latest products for inspiration pieces. Think of linens, chairs and chargers galore! While passing by one of the booths, we spotted another TV star! 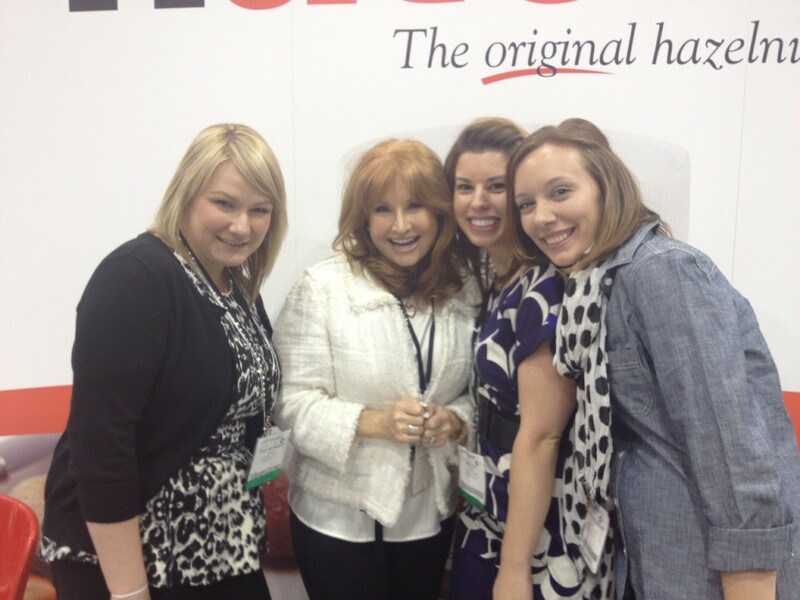 Renee Strauss of Brides of Beverly Hills was so sweet and friendly. For the closing session, we heard from Colin Cowie. He spoke about some his most recent events and showed pictures of what he’s been creating for clients. Talk about INSPIRING. We had a wonderful few days learning, designing and creating new ideas for our Scheme couples!